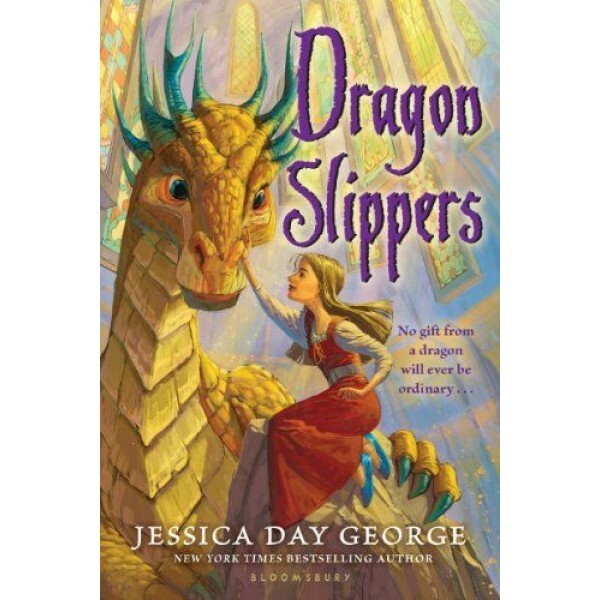 When an orphan girl named Creel befriends a dragon, she unknowingly inherits a pair of slippers that could be used to save her kingdom, or destroy it. Perfect for fantasy fans, the light tone and charming characterizations bring this heartwarming fantasy to life. Older middle grade readers and young teens alike will appreciate the adventure, fun, and dragon-drenched action! The story of Creel begins here with Dragon Slippers, continues in Dragon Flight, and goes on in Dragon Spear. Creel, the heroine of Dragon Slippers is hardly a damsel-in-distress. After her aunt totes her out to the local dragon in desperation (with the hope that the local prince will rescue her from certain death and marry her), Creel refuses the haughty prince and finds friendship with the dragons, who set her on a journey to the center of the kingdom with a pretty pair of what only seem to be ordinary slippers. Along the way we discover Creel's enormous talent at embroidery, and you can't help but linger over the rich descriptions of her lovely tapestry-like gowns, which quickly make her the most sought-after dressmaker in the kingdom. 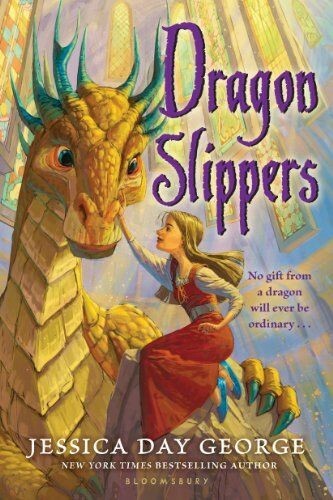 But soon enough those mysterious slippers begin to wreak havoc, and it's up to Creel to save the kingdom from disaster and defend the dragons from certain doom. Creel's feisty spirit breathes fiery new life into this epic world at every turn, making this one of the most memorable and fun fantasy debuts to hit shelves since Cornelia Funke's Inkheart.